The optical module is composed of optoelectronic devices, functional circuits and optical interfaces. The optoelectronic devices include two parts: transmit and receive. Optical module can be photoelectric conversion, the transmitter side of the electrical signal into optical signals, and then transmitted through the optical fiber at the receiver and then converted into electrical signals. Any one optical module is a two-part function of the transceiver, photoelectric conversion and electro-optical conversion, so that both ends of the network equipment are inseparable from the optical module. Now a data center equipment is often million, in order to achieve the interconnection of these devices, optical modules indispensable. Today, optical modules have become a segment of the data center. With the wide range of optical modules, more and more customers are concerned about the stability of the module itself and the characteristics of reliability. There are three popular optical modules on the market: original optical modules, second-hand optical modules and compatible optical modules. As we all know, the price of the original optical module is very high, many manufacturers can only discourage. As for the second-hand optical module, although its price is relatively low, but the quality is not guaranteed, often in the use of six months after the phenomenon of packet loss. As a result, many vendors have turned their attention to compatible optical modules. Indeed, compatible with the optical module in use, its performance and almost no original optical module, and the price is much cheaper than the original optical module several times, which is compatible with the optical module can be hot reasons. However, the goods on the market varies greatly, many businesses have shoddy, fish, the selection of the optical module caused a certain degree of difficulty, the following slim talk about the choice of optical modules. First of all, the first question, how do we distinguish between new optical modules and second-hand optical modules? 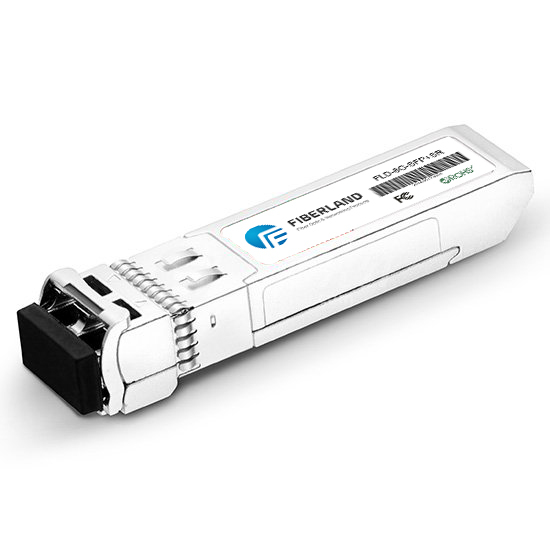 We mentioned above, second-hand optical module is often used in the use of six months after the packet loss, this is because of its optical power instability and decreased light sensitivity and other reasons. If we have an optical power meter, you can come up with a test to see if its optical power is consistent with the parameters on the data sheet. If the access is too large, the second-hand optical module. And then observe the use of optical modules after sale. The life of a normal optical module is five years, and it is difficult to see the light module in the first year, but it can be seen in the second or third year of its use. Second, see how the compatibility between the optical module and the device. Consumers before the purchase, the need to communicate with suppliers, inform them need to use in which brand of equipment. Finally, we also need to see how the temperature module to adapt to the temperature. Optical module itself in the work of the temperature is not high, but it is the general working environment in the engine room or on the switch, the temperature is too high or too low will affect its optical power, light sensitivity and other parameters. In general, the optical module used in the temperature range of 0 ~ 70 ° C can, if in a very cold or extremely hot environment, you need to use industrial-grade -40 ~ 85 ° C optical module. Use inferior fiber optic connectors. Therefore, the correct purchase of optical modules, usually in use, but also pay attention to the optical module cleaning and protection. After the use of the usual use, it is recommended not to use when the plug on the dust plug. Because if the light contact is not clean, it may affect the signal quality, may lead to LINK problems and error problems.